Tesla CEO Elon Musk's decision to quit serving as a business adviser to President Trump because of Trump's exit from the Paris climate accord is spurring additional scrutiny of the billions of dollars in tax subsidies Tesla, SolarCity, and other Musk companies have received over the last decade. The Heritage Foundation's Stephen Moore called the "green-energy" tax credits Musk and his companies have benefited from "low-hanging" fruit that could help Republicans offset plans to lower the corporate rate, estimating there could be $150 billion in savings over 10 years by ending them. "We're scrounging for offsets so those credits and subsidies are the low-hanging fruit," he told the Washington Free Beacon Friday. Moore said Trump's decision to leave the Paris Agreement is a sign of the changing times with Republicans in control of the White House and Congress, and that Musk is simply reacting to the less hospitable political environment. "Elon Musk has received $4.9 billion" in green tax benefits, Moore said. "He has a vested interest in making sure these subsidies continue so of course he's mad at Trump." Trump pledged to end the climate accord on the campaign trail. Musk's decision to leave Trump's advisory team has only fueled more criticism of the green subsides and how he has made his living. "Good riddance," said Benjamin Zycher, an American Enterprise Institute scholar and a vocal critic of the Paris deal. Musk's entire business model is based on government subsidies, Zycher added. Freedom Partners launched a six-figure digital ad campaign on Friday aimed at persuading Republicans to back their guiding principles in the upcoming GOP tax overhaul debate. One of their top-line priorities: ending "special-interest tax credits and deductions for businesses and individuals." "We want to eliminate all tax carve-outs, special interest giveaways, and corporate welfare—regardless of who benefits—while lowering rates to grow the economy," spokesman Bill Riggs said in a statement. "Americans deserve a society of mutual benefit where businesses thrive by improving people's lives, not gaming the system to profit off taxpayers." Moore's and Riggs' comments echo conservative criticism about his subsidies aimed at Musk on Twitter after the billionaire tech mogul tweeted Thursday that he would end his role on two of Trump's business councils. The Paris Climate deal set goals for cutting emissions without any enforcement, allowing countries to determine their own way to achieve them. Still, leaving the accord signals a pivot away from the Obama administration's green-energy initiatives and tax policy goals, many of which benefited Musk. Even before Musk tweeted his intention to stop serving on two of Trump's business councils, lawmakers on Capitol Hill were zeroing in on the green subsidies for elimination. The House GOP's blueprint for tax reform states as a main goal the "elimination of special-interest deductions in favor of providing lower tax rates for all businesses." "This will allow business decisions to be based on the economic potential rather than the availability of targeted tax benefits," it states. "A tax code that is more neutral will be more efficient and will facilitate economic growth." Musk's SolarCity is the largest provider of residential solar panels in the nation. Congress approved the Solar Investment Tax in 2015, which allows homeowners and businesses to deduct a portion of the cost of installation until 2021. The U.S. tax code also allows consumers who purchase electronic vehicles to deduct $7,500 from their federal taxes—with the credit phasing out after an automaker sells 200,000 vehicles. 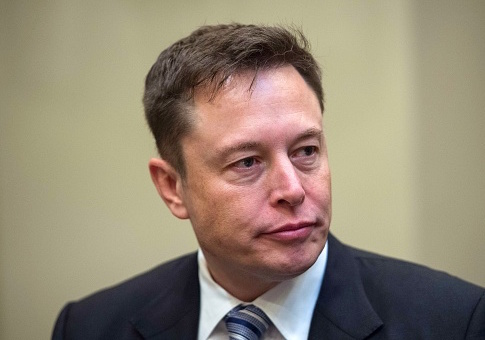 The Los Angeles Times, in 2015, estimated that Musk has been the beneficiary of nearly $4.9 billion in green tax subsidies at the state and federal level, money critics said effectively served as a tax cut for wealthy Tesla customers. "Musk and his companies' investors enjoy most of the financial upside of the government support, while taxpayers shoulder the cost," the Times story states. That type of "green" corporate welfare needs to come to an end, opponents said. "Electric Vehicle and Solar Panel subsidies are a massive transfer of wealth from the poor and middle class to the rich," said Charles Drevna, president and CEO of Fueling U.S. Forward, a nonprofit dedicated to defending fossil fuels. "We should not force those least able to afford it to pay for programs that will not benefit them and only continue line the pockets of the crony capitalists." On a recent earnings call, Musk said he resents reports that credit his success in part to the subsidies and said the tax credits and deductions help the competition more than they help Tesla. "And I should perhaps touch again on this whole notion of—it's almost like over the years there's been all these sort of irritating articles like Tesla survives because of government subsidies and tax credits. It drives me crazy," he said. "Here's what those fools don't realize. If Tesla is not alone in the car industry, but all those things would be material if we were the only car company in existence. We are not. There are many car companies. What matters is whether we have a relative advantage in the market." However, critics point out that Tesla is already nearing the 200,000 mark when the tax incentives phase out for buyers so his recent remarks are hardly altruistic. If the subsidies end, other automakers producing electric cars won't receive the same tax benefits as they build up their manufacturing capacity. This entry was posted in Issues and tagged Elon Musk, Green Energy, Tesla. Bookmark the permalink.